Did you know that the best selling game of all time is Tetris? There is something about stacking these tetriminos that is both satisfying and addictive. The franchise was probably most popular back on the original Game Boy but has seen many, many different versions over the years as well as changes to the formula. 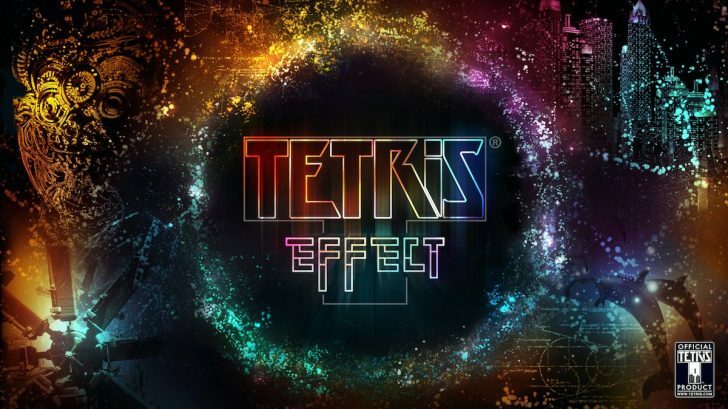 If you haven’t been paying attention, Enhance Games and legendary game developer Tetsuya Mizuguchi obtained the rights to make their own version of Tetris, Tetris Effect. 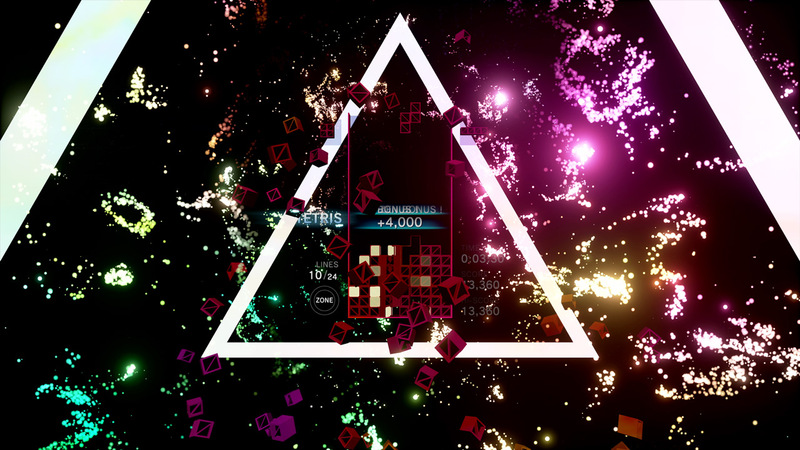 That’s right the man behind Lumines and Rez has now gotten to put his stamp on what a Tetris game can be and it just might be the most definitive Tetris experience ever. If you’ve played a Tetris game in the past this is still very much a Tetris game so don’t worry about that. 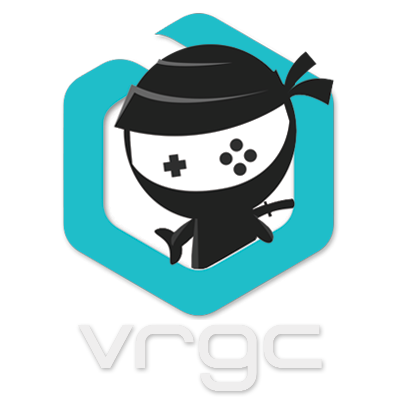 The game is playable on both the PlayStation 4 as well as PlayStation VR. 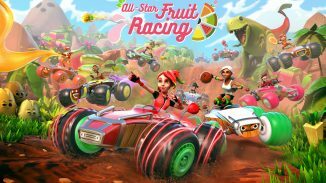 It’s a great experience on the PlayStation 4 but PlayStation VR takes it to another level but I’ll talk more about that later in this review. The goal in any of the levels in the game is to reach the end by stacking the blocks and creating lines which then clears them from the board. If the lines reach the top it’s game over and you’ll have to start again. 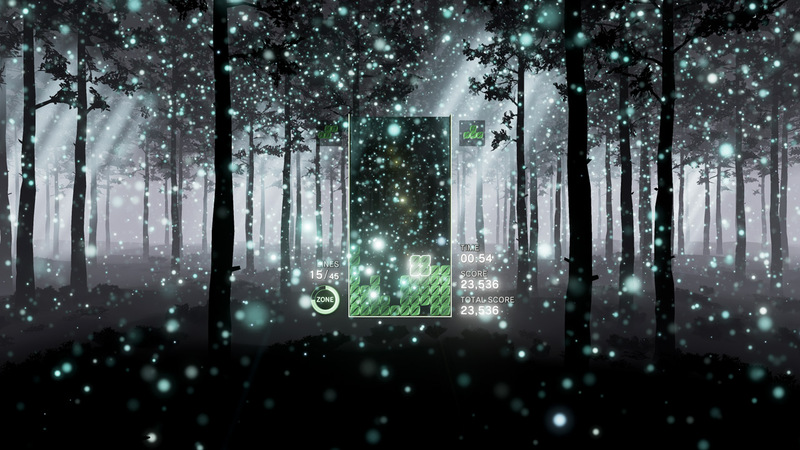 There are a ton of modes in Tetris Effect to choose from but my first stop was in the brand new Journey mode which is like a single player campaign. This mode has 27 stages in total divided up into sets so you’ll play through a handful at a time before reaching the end of a set and getting a score and letter grade based on your performance. 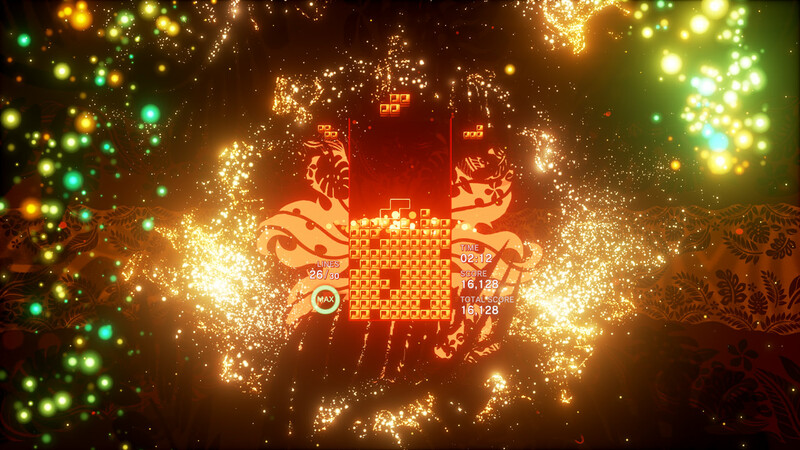 It’s here in the Journey mode where I realized just how incredible of an experience Tetris Effect can be. Every level is made up of eye popping visual effects, imagery, and beautiful music that just fits. 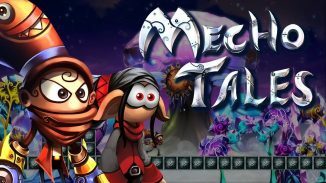 One level will have you atop a mountain while others are filled with hot air balloons, soaring birds, starlit skies and so much more. It really is like you are going on a journey to all of these different locations while you’re playing and I loved every second of it. What’s even better is the sound of instruments or gears or many other things that play in tune with the movement of your blocks. As I said experiencing any of this on the TV is great but in the confines of PlayStation VR you really come to realize the truth of just how amazing this game is. It’s an entirely different experience and overload to your senses as you keep stacking blocks while beautiful colors, visuals, and music surround you. It really is the best way to experience this game. Journey mode doesn’t last a particularly long time but it does have three different difficulty levels (beginner, normal, expert) and there is always the incentive to go back and try to get a better score or letter grade. You can earn an E rank all the way up to an SS rank on any given level with only the truly great players able to achieve those higher marks. You get a bigger score the faster you place your blocks as well as pulling off other moves like T-spins, combos and so on. One of the other biggest new additions to the Tetris formula here is the brand new Zone mechanic that can further help you. There is a meter on the lower left corner that you build up and then can activate by pressing L2 or R2 to go into the Zone. This stops time until the meter runs out and allows you to place blocks at your own speed. This can be used if your in a tight situation and need to bail yourself out but it can also be used to get much higher scores. You see before you could only clear 4 lines at a time and earn a Tetris but with the new Zone mode you can clear as many lines as you can before time runs out and earn higher marks depending on how many you clear. The most I’ve done so far is 12 but you could clear all 20 lines if you build it right. It’s a fantastic new addition to the Tetris formula in my opinion. When you get done with Journey mode there is plenty of other content to engage with. Go over to the Effects mode and you’ll find these additional modes. Mystery Mode for instance has you playing normally but then will hit you with different modifiers that you have to deal with. One might turn your screen upside down while another inserts a huge block that you have to figure out where you’re going to place it. Purify Mode has you trying to clear as many dark blocks as you can before time runs out while Chill Marathon lets you keep playing without worrying about getting a game over. Overall there are 15 different modes in Effects to play with all of them keeping track of your best score. Most of them also support the online leaderboards so you can see how you stack up to everyone else in the world. Also when the weekend rolls around a Weekend Ritual begins and lasts for 24 hours. This is basically a community event where everyone playing earns points that contribute to a goal that is set. If the goal is reached by the end of the event then everyone earns a rare avatar which is pretty cool. Avatars are just a picture that you can set for your profile and can be earned by playing and achieving certain goals. It’s just another reason to keep playing this joyous game that Mizuguchi-san and the team at Enhance have created for us. Going back to the visuals of the game if you play on a PS4 Pro as I did the game is even more beautiful running in 4K as well as HDR. Obviously it isn’t that sharp when playing in PlayStation VR but I still feel like that is the best way to experience it. Also whether you are playing on the TV or in PlayStation VR you absolutely must wear a pair of headphones to really appreciate the audio on display here. The game even tells you this when you start it up. This is by far one of the best sounding and best looking games I’ve ever played. Heck, I have the Theater mode playing on my TV as I write this review right now just because of how good it is. If you care about the trophies in the game there are over 40 here to earn but only the true expert Tetris players will be able to earn the Platinum. One of the trophies asks you to earn an SS ranking in every area possible in the game which is no easy feat. Looking over the entire package here the only negative I can really think of is the lack of any multiplayer options. It was never part of the plan for the game to include this option but it would’ve been fun to play against someone else either locally or online. To be honest I’ve never been a big Tetris player in the past. I’ve dabbled here and there with different entries but never spent much time on them. 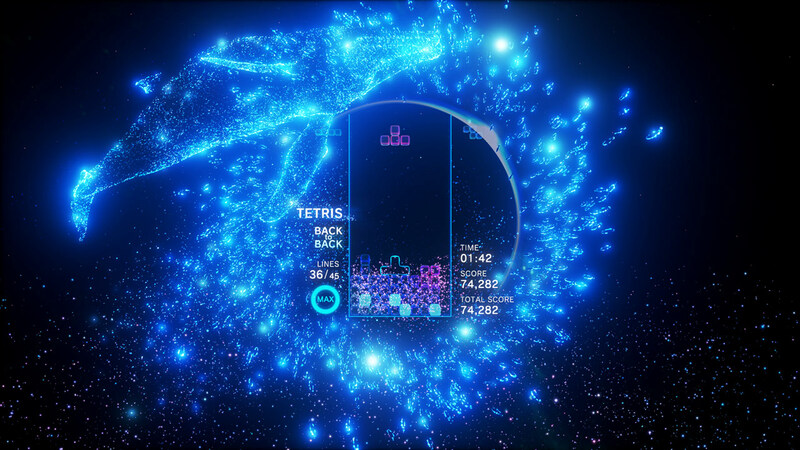 Tetris Effect however I’ve put over 20 hours into already over the past few days and I still keep wanting to go back and play more. There is something just so addictive about wanting to go back and play another round and try to get a better score. I think that the killer soundtrack and visuals also contribute to this as if I was just playing any other Tetris game it would be a more bland experience. 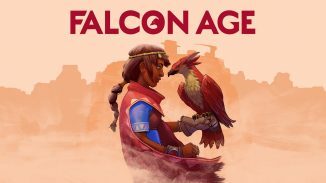 It’s really quite hard to put into words the feeling this game gives me while playing.. It’s relaxing and meditative, yet also tense at the same time. There isn’t much left to say other than Enhance Games and Tetsuya Mizuguchi have taken one of the oldest franchises around and made the best version of it ever. It’s a beautiful marriage of visuals, audio, and gameplay the likes of which is rare and easily one of the best games of 2018. 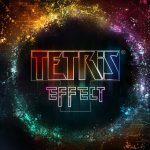 You absolutely should experience the Tetris Effect.